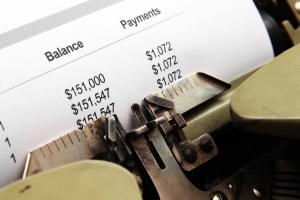 Why are Accounts Receivable Aging Reports so Important? In order to structure a workable operating budget for your company, it is necessary to periodically generate an accounts receivable report showing the aging process for outstanding invoices for any goods and services supplied. This critical report allows you to carefully analyze the financial reliability of your customers. If one company is consistently late paying invoices, it should send out a warning flag that there is a possibility they are not succeeding in meeting their business goals. This could make them a potentially bad credit risk and therefore a bad account to work with. To successfully meet monthly operating costs you need a steady revenue stream, and an accounts receivable aging report will show which companies are making regular, on-time payments. Without this information, it will be difficult to maintain a healthy cash flow if you are always worried about late payment on outstanding invoices. Once you are able to assess which accounts constantly pay late, you can evaluate payment terms with your suppliers and make changes accordingly. For example if a customer consistently pays 5 days later than the payment terms agreed upon, and you have historically accepted the late payment, but your suppliers need payment earlier, you will eventually have problems making payments to your suppliers and jeopardize that relationship. This, in turn, could result in loss of customers, as suppliers lose faith in your company’s ability to pay bills in a timely fashion. Regular contact with customers so they know late payment is not acceptable and that you are on top of your billing and collection process. The ability to decide to sever ties with those customers who struggle to pay their invoices on time, which in turn inhibits your success. Instead of having to regularly write off bad debts, you can make the determination to stop providing goods or services before late payment becomes an issue. Status of collection, total amount outstanding, activity and financial history for each customer. If you decide to factor your invoices as a financing tool to regulate lengthy payment intervals, one of the documents your invoice factoring company will require is an accounts receivable aging report. It is used to help determine the factoring rate. Through this report the factor is able to see how many customers you have, and how much you are owed. If it becomes apparent that customers are continually late payers, the likelihood is that your rate will be higher. This is because the factoring company is effectively advancing you money on your outstanding invoices. The later the payments are received from your customers, the larger the risk. This will not be the only document used to determine your rate. Once the factor has a good idea of which customers could be a financial challenge it will combine this information with a credit report on those companies who’s accounts you would like to factor. The joint information will be used to decide your rate. Since your factor becomes your collections department it helps with erratic payment cycles also. For more than three decades, Bay View Funding has helped many businesses manage operating costs and grow by improving cash flow with accounts receivable financing.